Jennifer Shafer - Shapiro, Blasi, Wasserman & Hermann, P.A. Jennifer Shafer’s practice focuses on representing individuals and companies in high risk litigation claims involving products liability and commercial matters, as well as construction defect and delay claims. Ms. Shafer has successfully defended large manufacturers of heavy equipment, such as vertical transportation service companies, against personal injury claims and commercial-products liability disputes. Additionally, Ms. Shafer has extensive experience in matrimonial and family law litigation including divorce litigation, paternity matters, enforcement and modification proceedings as well as pre/post-nuptial agreements. She recognizes this type of litigation is inherently stressful, highly sensitive in nature and requires a higher level of compassion. As such, she devotes the extra attention needed for these types of disputes. Ms. Shafer has lectured on behalf of the Florida Association for Women Lawyers and its presentation of Educating Tomorrow’s Adults. In 2014, she was certified as a Guardian ad Litem. She is an Air Force Veteran, and was Honorably Discharged. Ms. Shafer is admitted to practice before all state courts in Florida, as well as the United States District Court for the Southern District of Florida. 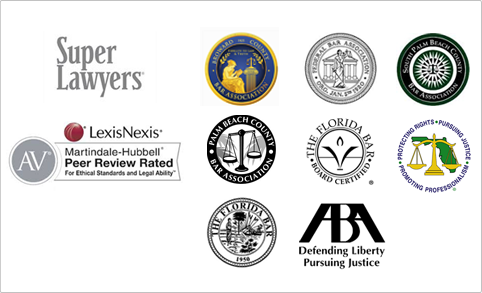 South Palm Beach County Bar Assoc.